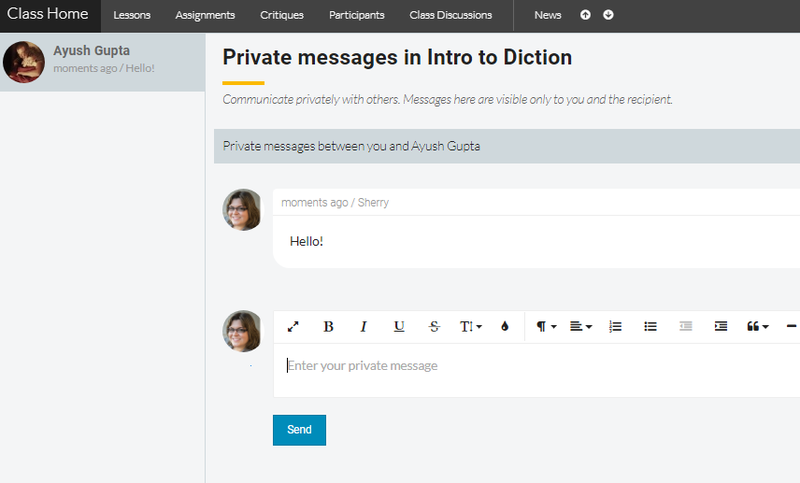 In your class, you can send a private message to another student or your instructor. 1. Go to the 'Participants' tab. 2. Find the person on the 'Participants' list or view the profile of the person you want to send a message. 3. Click the "Send Message" button. 4. You will be taken to a screen where you can write a new private message and view any messages that's already between the two of you. 1. Click the Quick-Links all the way to the right in the navigation bar. 2. 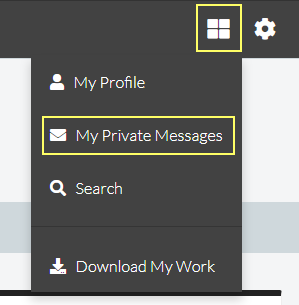 Choose "My Private Messages".